Stigma around hearing aids still exists much to my incredulity. I really don’t understand why that is the case, I mean hearing aids solve real problems, you have the problem, sort it out. Modern hearing aids like the LiNX Quattro are really fantastic, not just that, but they are discrete. No matter, despite my abject irritation, stigma still exists. In this article, Karen Simpson talks about what we can do to combat the stigma. Hearing loss affects a portion of our society, and unfortunately, many of those affected fail to seek help due to the stigma surrounding hearing loss and hearing aids. Most people mistakenly think that hearing loss is something only old people need to worry about. However, the National Institute on Deafness and Other Communication Disorders (NIDCD), estimates that about 37.5 million (15%) American adults aged 18 and above report some trouble hearing. Although a significant percentage of the elderly have some form of hearing loss, it is something that can affect people of all ages. Additionally, the NIDCD reports that about 28.8 million U.S. adults could benefit from using hearing aids, but only a small percentage choose to do anything about it despite the fact that hearing loss can adversely affect an individual’s quality of life resulting in poor interactions with others. This lack of ability to hear, in turn, can lead to frustration, embarrassment, withdrawal, social isolation and negative workplace encounters. Living with hearing loss can be difficult both for those with hearing difficulties as well as those around them. While hearing aids can help people hear better, stigma, prejudices, and misconceptions still abound. The overall negativity can deter individuals from purchasing or wearing their hearing aids. A study published in 2010 found that stigma associated with hearing loss has a negative impact on a person’s initial acceptance of their diagnosis and also affects whether or not they choose to wear hearing aids. The study also discovered that the stigma around hearing loss is directly related to an alteration in self-perception, vanity, and ageism. Just the thought of wearing hearing aids was found to negatively affect how people viewed themselves, possibly because they felt that hearing aids made them look older than they were. Fortunately, the negative self-perception changed once participants tried on discreet and unnoticeable hearing aids. Educate yourself. People often mistrust what they don’t understand, so if you have hearing loss, educate yourself on the different types of hearing aids available. Thanks to technological advancements, hearing aids today are a far cry from the bulky and conspicuous devices of decades past. 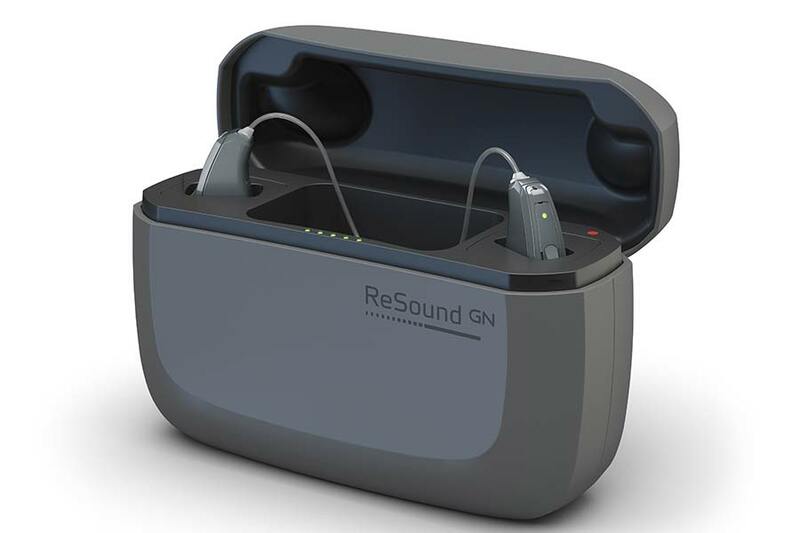 Nowadays you can get discreet, customized hearing aids, some small enough to fit right inside your ear canal. Additionally, you can get hearing aids with Bluetooth technology or other wireless accessories, so you can carry on with your daily life. Speak up. Don’t be afraid to speak up about your hearing loss, how it was diagnosed, how it affects your life, and what you’re doing about it. You can also show people how your hearing aids work. Addressing the situation openly and honestly with your loved ones goes a long way towards clearing up any misconceptions they might have. Also, mention ways in which they can make things easier for you, e.g. facing you while speaking, so you can follow a conversation. Be helpful. If you have someone with hearing loss in your life, go the extra mile to be helpful. Find ways to support them, e.g. accompanying them to the audiologist where you might learn more about hearing loss. The change to wearing hearing aids can be a difficult transition for most people, so it helps to have a shoulder to lean on. Be sensitive. Try to avoid jokes involving a person’s physical appearance and abilities. Instead, put yourself in their shoes. Find out how they really feel and what they’re going through and see how you can help them. Being kind and educating others about the process you went through to hear better can greatly minimize some of the stigma around hearing loss. Most importantly, don’t allow the stigma to keep you from living a full life.